We are a full-service, holistic chiropractic care center conveniently located in Hatfield Township, Montgomery County. As you step into our welcoming and relaxing office, you will feel confident knowing that you are on the right track to pain relief and comfort. 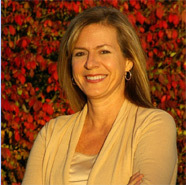 Doctor of Chiropractic, Claire DeFazio, has served the community for nearly 20 years offering the latest healing and therapeutic techniques. By specializing in Chiropractic Biophysics, she provides each patient with a custom, comprehensive plan to improve back pain and overall function. Combining her passion for a healthy, active lifestyle with the desire to help individuals heal from the inside out, Dr. Claire will assess your areas of concern and aim to improve them every step of the way. In addition to the services that traditionally fall under chiropractic care, we offer supplemental specialties such as detox cleansing, massage therapy, custom orthotics, among others beneficial to your health. To view our hours of operation or to schedule an appointment, click here. We accept most major insurances.